At Clearwater Landscape & Nursery, we’re pleased to support you through every phase of your project. This begins with a consultative design process which will ensure we bring your goals and your vision to a beautiful, premium-quality reality and extends to the development and delivery of your completed project. Learn more about our process below, and find out what you can expect as we’re transforming your property into your dream outdoor-living and entertaining space. We’ll begin your project with a personal in-home consultation, performed by one of our expert landscape architects/designers. The objective of our initial consultations is to gain a precise understanding of everything you’re envisioning and your unique goals for your project. At this meeting, we’ll determine whether your project will require a formal design, and we’ll discuss your scope of work, project budget, and beyond. We’ll also happily answer any questions you may have about our company, our capabilities, and our plan for meeting your goals. In the event we determine that no formal design is required for your project, we will then provide you with a full, written project proposal based on the design elements and budget we’ve previously determined during your in-home meeting. The proposal will specify all material selections and a precise scope of work, which you’ll review for approval before we begin. If we’ve determined that design work is required, the design phase will be initiated by a formal design agreement and a deposit. 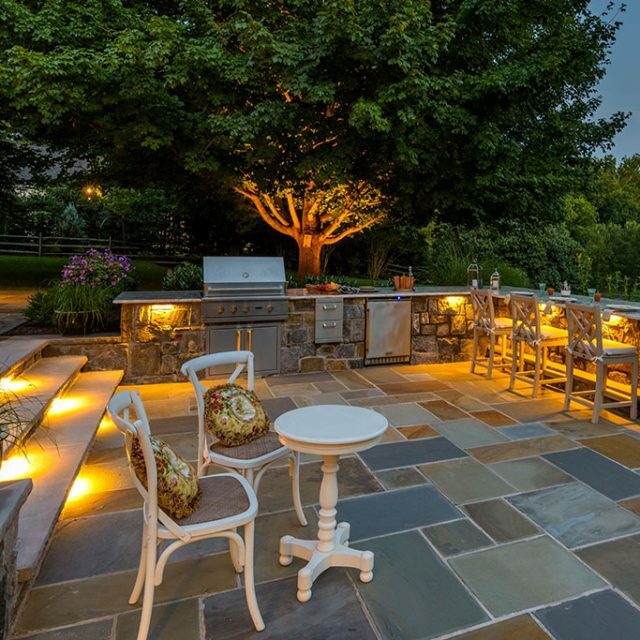 We’ll present you with a description of all of the landscape and hardscape elements we’re planning to include in your project. Once you’ve accepted and signed your design agreement, we will begin the design phase. Our experienced professionals will inspect your property to verify that the existing conditions on your site are accurately reflected on your property survey plat and on any other plans you’ve provided. We’ll make detailed notes of all existing structures, record grade elevations, drainage areas, known public utilities, and overall site conditions. 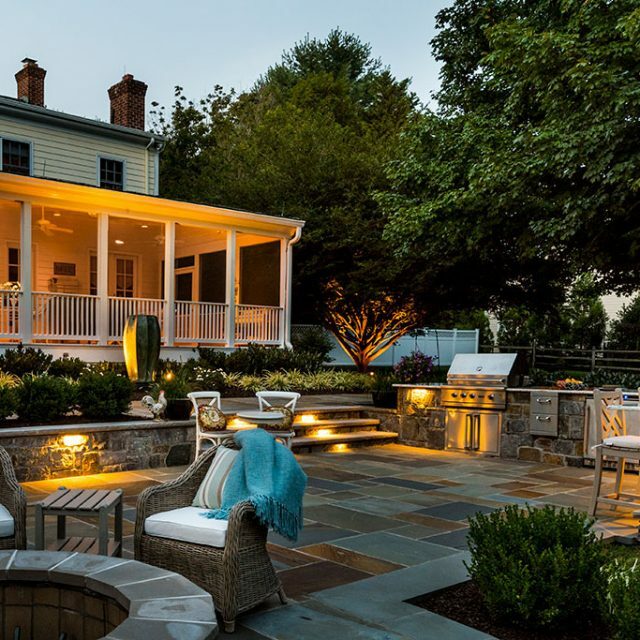 This analysis will help our landscape design professionals determin how best to utilize the space, and it will influence the selction and arrangement of plants and construction materials. Our team will prepare scale drawings showing all existing structures and property conditions we’ve noted during our on-site analysis, as well as those indicated on any existing site or property plans provided by you. This base map will serve as the foundation for the preliminary plan layout of your property. 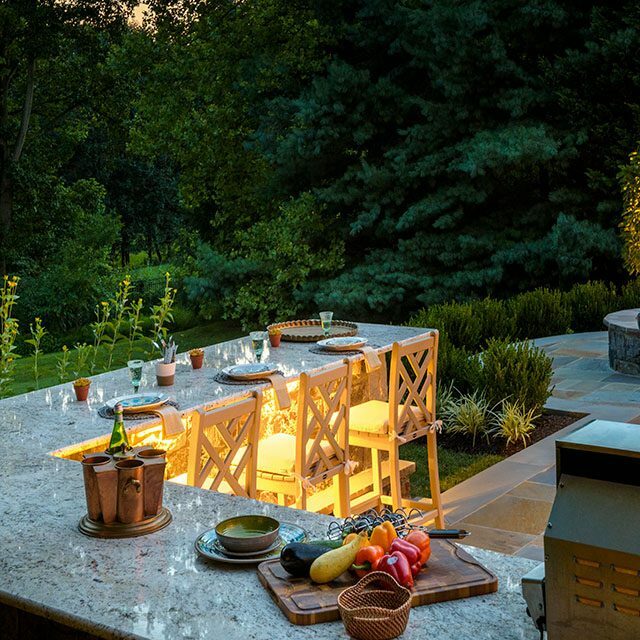 Our experienced landscape architects/designers will prepare conceptual plans that carefully merge our knowledge of landscape construction with your preferences for the style and use of the space. These preliminary plans, based on our base map information and drawn to scale, will include general information regarding hardscape material selections, lighting, irrigation areas, and types of plants for your project. Depending on the scale and complexity of your project, these plans will be presented to you in person by our design or through email correspondance. Based on your feedback and our ideas after the presentation of the conceptual plans, our team will prepare your final plans. These final plans include scale working drawings with all spatial layouts and locations, and they will be suitable for use in building your new project. As needed, we can also assist with additional design services that may be required or desired for your project, such as typical construction details, sealed structure engineered or architectural drawings, as well as 3D models or elevation drawings. Just ask your design professional for more information regarding our broad range of services. Once we have completed all of your project’s design work and planning, the Clearwater team will provide you with a comprehensive written proposal detailing all of your project’s included scope of work and specified materials. As you review your proposal, we’ll be pleased to answer any of your questions and make any adjustments needed to ensure your vision will be realized and all of your goals will be met. The installation phase of your project will be scheduled directly after you’ve approved your proposal and submitted a deposit to us. Once we have received your signed proposal and deposit, our production team will schedule your project, obtain any necessary permits, and order all of the materials we’ll need. Before we begin work, our team will conduct a detailed preconstruction meeting on your site, as required, including the designer and all production managers who will be involved in your project. This preconstruction meeting will help ensure the entire construction process runs smoothly and efficiently from start to completion. We then commence work on your project, as we’ve laid out in our scheduling. While we’re installing your new landscape project, our friendly, uniformed installation professionals will show the utmost respect for your home, your property, and your neighbors. We always arrive to perform the day’s work as efficiently and quietly as possible and leave your property looking clean and organized for the next day’s work. When we have completed all work on your project, we perform a final walk-through with you on site. At this time, we will present you with a closing package, which includes a copy of your final plans and your contract, detailed care guidelines, warranty information, product information, and any other important information specific to your project. Clearwater’s expert landscape maintenance division proudly offers comprehensive property management services, including lawn mowing, turf and bed fertilization, weed control, edging, mulching, pruning, and many others. Our specialty maintenance services include seasonal flower rotations, landscape renovation and enhancements, plant health care management, irrigation, outdoor lighting, snow removal, and more. 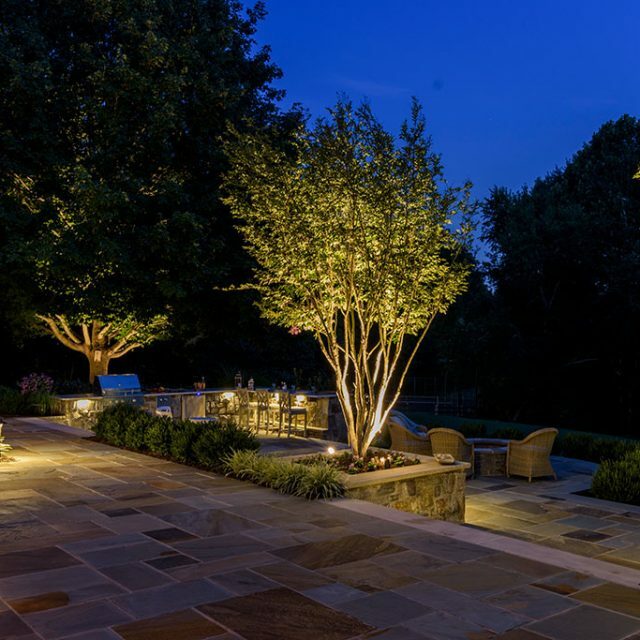 Our complete maintenance capabilities make us your ongoing partner for the most beautiful yard and outdoor-living spaces throughout the year.